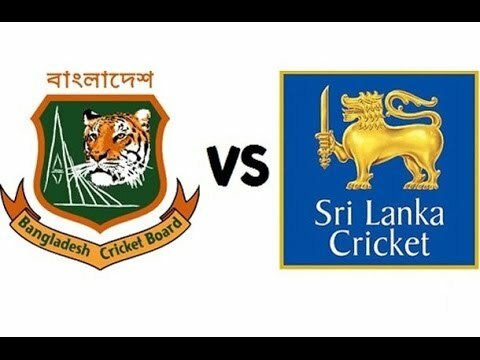 Following the footprint of Tigers in West Indies, the 2nd string Bangladesh A team also suffered an innings and 38 runs defeat against touring Sri Lanka A team in the 3rd and last four-day unofficial Test to lose the three-match series 0-1 at Sylhet International Cricket Stadium on Thursday. Bangladesh national cricket team conceded an embarrassing innings and 219 runs defeat making their over-lowest Test total 43 runs against hosts West Indies in the first of the two-match Test series in Antigua earlier this week. Replying to Sri Lankan first innings total 312 runs, Bangladesh A team, which made 167 runs in the first innings, resumed the 2nd innings on the 3rd day (Thursday) with overnight 57 for 1 to trail by 88 runs but were bundled out cheaply again for 107 runs to suffer a shameful innings defeat. Night watch national coloured batsman Soumya Sarkar (24) scored the team highest 28 runs, followed by Shadman Islam 19, Saif Hassan 17 Sunzamul Islam 16 and Mizanur Rahman 13, were the leading Bangladesh batsmen reaching the double figures in the 2nd innings. Bangladesh lost their last eight wickets for just 49 runs. Sri Lanka left arm spinner Malinda Pushpakumara with his six-wicket haul for 46 runs shattered all Bangladesh hope grabbing nine wickets in two innings. Shehan Jayasuriya hammered 142 runs to Sri Lanka 312 runs innings and was adjudged the man of the match while Lahiru Thirimanne (168, 100), who scored in first two tests, was adjudged player of the series. The first two unofficial Tests of the three-match series ended in draw – both at Zahur Ahmed Chowdhury Stadium in Chattogram. The second game was interrupted by rain for two days’ where Sri Lanka opened the innings with bat on 3rd day and declared the innings on day-4, scoring 281/5-d in 80 overs with Lahiru Thirimanne’s century of 100* runs. Bangladesh could play only 16 overs of their 1st innings for 59/1 as the game ended on July 6. The 1st match of the series was also ended in draw on day four at the same venue on June 26. Sri Lanka scored 449/8-d in 131.1 overs in the 1st innings and 262/2 in 57 overs in the 2nd innings. Bangladesh could play only the 1st innings to score 414/10 in 135 overs with Sabbir Rahman(165) and Mosaddek Hossain(135) making a century each.